After m y previous unsuccessful trial to dye hair at home, here I decided to take another shot and go ahead with a different brand! 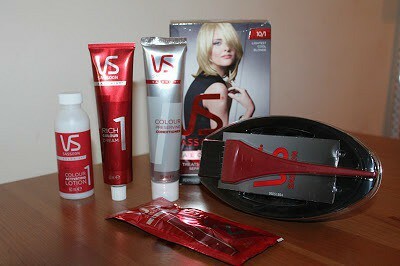 After some researching online I bought Vidal Sassoon Salonist Permanent Hair Colour 10/1 Lightest Cool Blonde. Reviews on that one are really reasonable, therefore I decided to try it out. It’s slightly pricier than most of other hair dye, but still definitely not too expensive- £9.99 normally, but you can often find various offers or discounts on it. 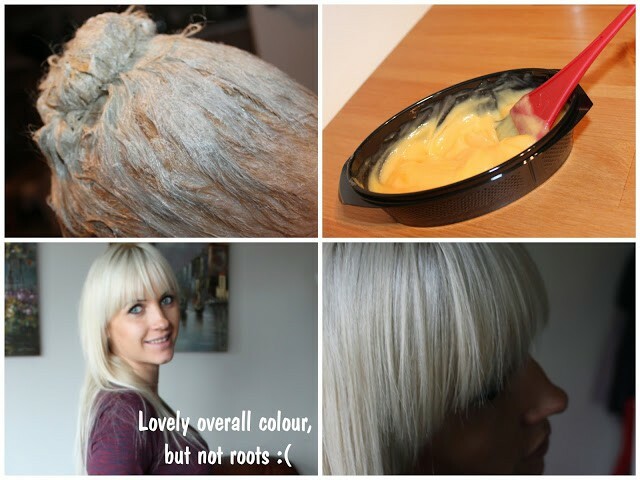 It includes hair dyeing brush, I found that pretty handy. 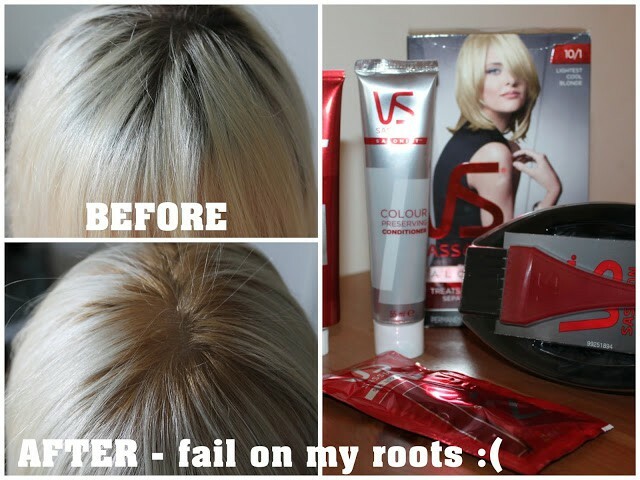 It’s a two step process- treating your roots with colour cream first, then adding the VS serum to the remaining permanent hair colour, and blending through lengths. Nothing too complicated, as you see. Done all as per instructions. The whole process took me about an hour. After washing and drying my hair, I had very mixed feelings. I really loved the colour the way it turned out. Really did. Exactly the colour that I wanted to get. This entry was posted in Product Reviews and tagged beauty, hair, hair dye, product reviews, Uncategorized by Justina. Bookmark the permalink. ← Previous Previous post: Happy Father’s Day, Edward!! !